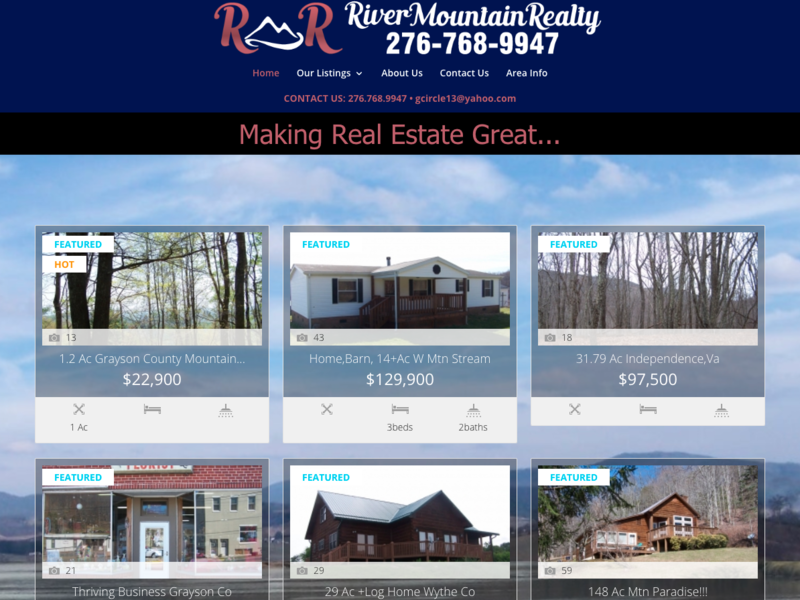 River Mountain Realty is one of the newest realty services in the area. 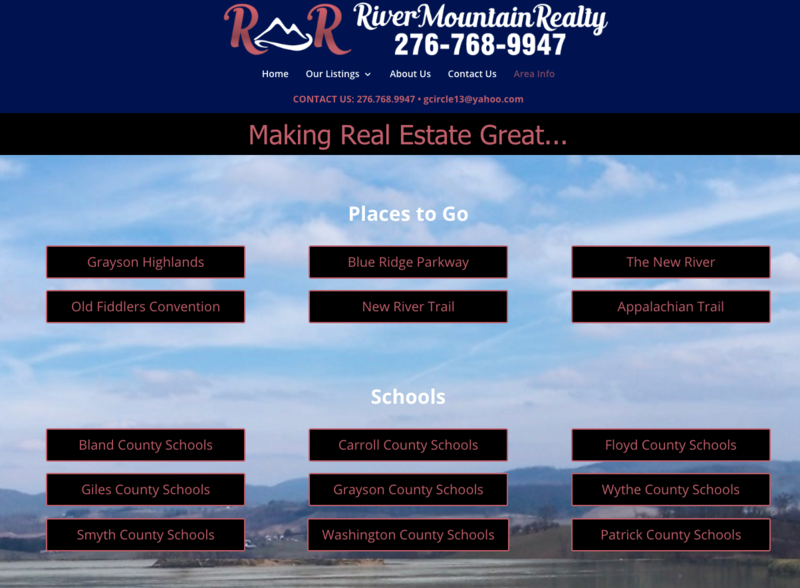 Their office is based out of Woodlawn, but they serve the Grayson County, Wythe County, Carroll County, Galax Area and more! They wanted a website that was easy to navigate around for their clients and potential clients. 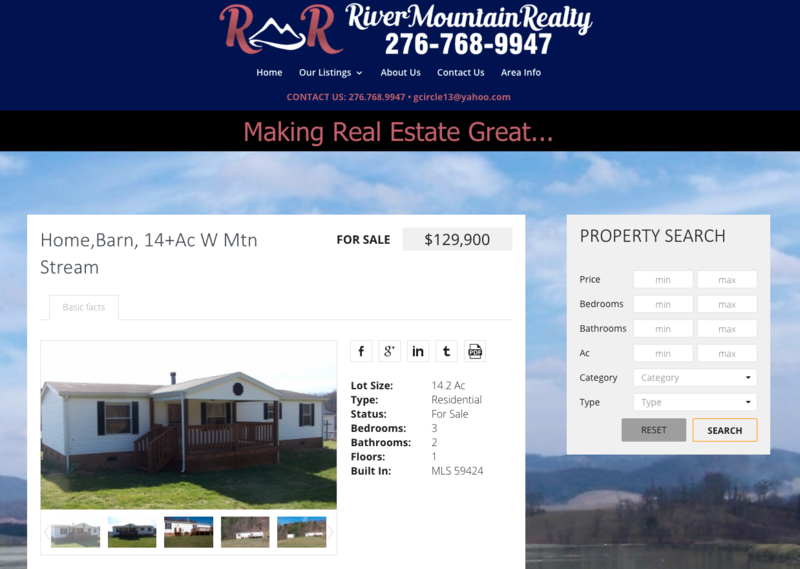 As always, we gave them a fully responsive site built on a wordpress foundation, so that they can easily add their properties, or remove them once they are SOLD!